Porsche India introduces the world's first sports car in the compact SUV segment, the all-new Macan. The arrival marks Porsche's pioneering move into a new segment, following in the footsteps of the brand's most successful model in the luxury SUV range, the Cayenne. "With the introduction of the Macan, Porsche offers a real sports car in the dynamically growing compact SUV segment for the first time. I have no doubt that this model will be a success for the brand, catering to our youthful customers in the country, who believe in the philosophy of 'Life, intensified'," said Anil Reddi, Director, Porsche India. Poised to set new standards in driving dynamics and enjoyment, both on and off the road, the new Macan boasts the typical sporty handling characteristics that have become synonymous with the Porsche brand. Featuring exceptional acceleration, vast engine power, extreme agility and optimum steering precision, the Macan is set to rewrite the rulebook on outstanding sporting comfort and everyday usability. The sporty DNA of the Macan, as with all Porsche vehicles, is immediately recognisable in the design. The compact SUV is unrivalled in its flat and broad profile on the road. The wrap-around bonnet and gently sloping roof line accentuate the overall impression of sporty elegance and powerful dynamics. Two models are available for order - the Macan Turbo and the Macan S Diesel. As the top derivative, the Macan Turbo is the most powerful petrol-powered vehicle in the compact SUV segment. The 3.6-litre V6 biturbo engine, which is being used in a Porsche model for the very first time, achieves an unrivalled 400 hp and catapults the vehicle from 0-100 km/h in just 4.6 seconds (with Sport Chrono package), reaching a top speed of 266 km/h. 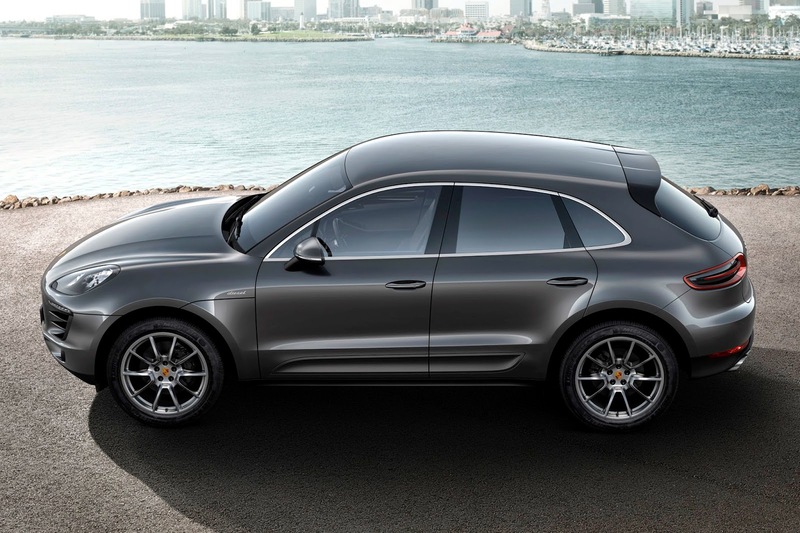 The Macan S Diesel is the economical long-distance runner of the two Macan models. Its 3.0-litre V6 turbo diesel engine achieves a fuel consumption figure of just 6.9 litres/100 km as per the European driving cycle. Nevertheless, the Macan S Diesel accelerates from 0 to 100 km in just 6.1 seconds, when fitted with the Sport Chrono package, thanks to its 245-hp engine. It achieves a top speed of 230 km/h. The name Macan comes from the Indonesian word for tiger, a spirit the car truly embodies. Boasting pure Porsche power and assertiveness, the Macan is also a nimble yet tenacious off-roader. The latest stage of evolution of the all-wheel drive - known as Porsche Traction Management - has produced one of the world's most powerful drive systems. A glance at the performance specifications reveal that the Macan has been designed with agility in mind. Further unmistakable hallmarks of the vehicle include its proportions, design and the mixed tyres with different dimensions at the front and rear axle, enhancing the look and functionality. The driver and passenger seats also boast the low position typical of sports cars. The range of equipment fitted on the Macan as standard is extensive and includes the all-wheel drive, PDK, multi-function sport steering wheel with shift paddles, high-performance audio system and an electrically operated tailgate. In India, further standard features include air suspension system, lighting package, bi-xenon headlamps as well as three-zone climate control.